Earlier today at Anime Expo, JeuxVideo spoke to Octopath Traveler producer Masashi Takahashi and composer Yasunori Nishiki to discuss about Octopath Traveler. First, the duo discussed about what and how Octopath Traveler came to be. Both Takahashi and Nishiki are currently 33 years old, so they grew up during the golden era of SNES RPGs. When Takahashi first joined Square Enix, he wanted to make games similar to the ones that he had played during his childhood, but was told making modern-looking games were much easier. Now that he has become successful, he can now work on the projects that he wanted to work on. Just as how Bravely Default is a spiritual successor to Final Fantasy V, Takahashi says Octopath Traveler was developed as a spiritual successor to Final Fantasy VI. Takahashi also commented on the art style of Octopath Traveler, which is a unique blend of pixel art and modern graphics. He explained that they went with this because he wanted to work on a “new IP with strong visual style that players would enjoy”. Takahashi added that during the early stages of Octopath Traveler’s development, the team made a demo exclusively in pixel art. They then realized it looked “prettier in their memories”, so they decided to include modern effects such as lightning with Unreal Engine. This resulted in a good mix between the old and new generation of games. 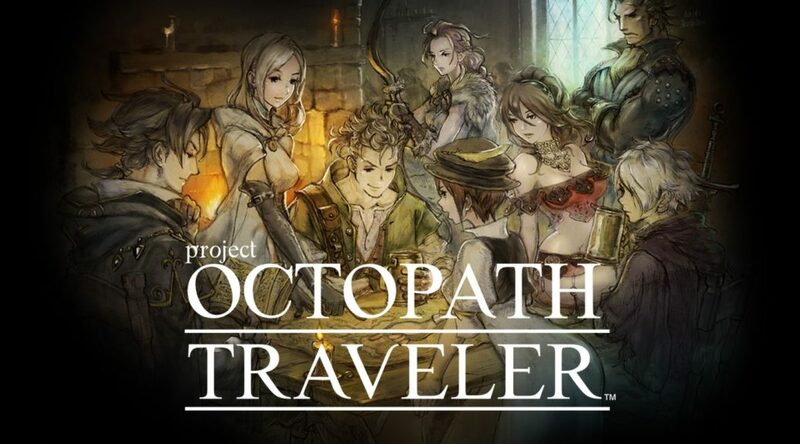 Nishiki, the composer of Octopath Traveler, grew up playing games in the SaGa and Final Fantasy series, which in turned influenced his work on Octopath Traveler. The composer initially wondered whether he should adapt to a global taste or stick to his style, but decided to keep his style after wondering what Earthbound composer Nobuo Uematsu would do in his shoes. Besides SaGa and Final Fantasy, Octopath Traveler’s OST was inspired by Nishiki’s love for classical music, Bach, and music in movies. Finally, Takahashi shared a few details about the reception to Octopath Traveler’s demo. Takahashi revealed that the first demo was downloaded 1.5 million times and reactions to the demo have been overwhelmingly positive, more so in Europe than Japan. Takahashi said that the first demo was created in mind for gamers in their 30s and 40s, who experienced the golden era of SNES RPGs. He also says Nintendo Switch is “the perfect platform” for Octopath Traveler as players can enjoy the game for 1 hour in their bed before they go to sleep.